Incendiary shrapnel, illuminating, and antisubmarine rounds were also available. The 5"/50 dual-purpose gun was the standard Japanese destroyer armament throughout the war. 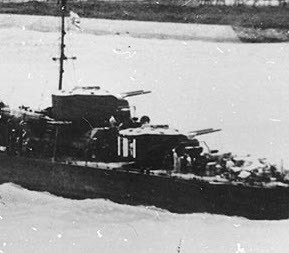 It was a powerful surface weapon, outranging the U.S. 5"/38 dual-purpose gun by 4000 yards, but its rate of traverse was so slow that, while it was equipped with antiaircraft shells and directors, it was almost useless against modern aircraft. An updated model with genuine antiaircraft capability never got beyond the prototype stage.